Orange County Business Lawyer - What are corporate records? Orange County Small Business Attorney: What are Corporate Records? Unsure of what corporate records must be maintained to preserve your corporation? Or maybe you’re not sure what corporate records actually are? Many small business owners face the same challenges. This page presents guidelines and describes the various corporate records you need to know about. Need help? 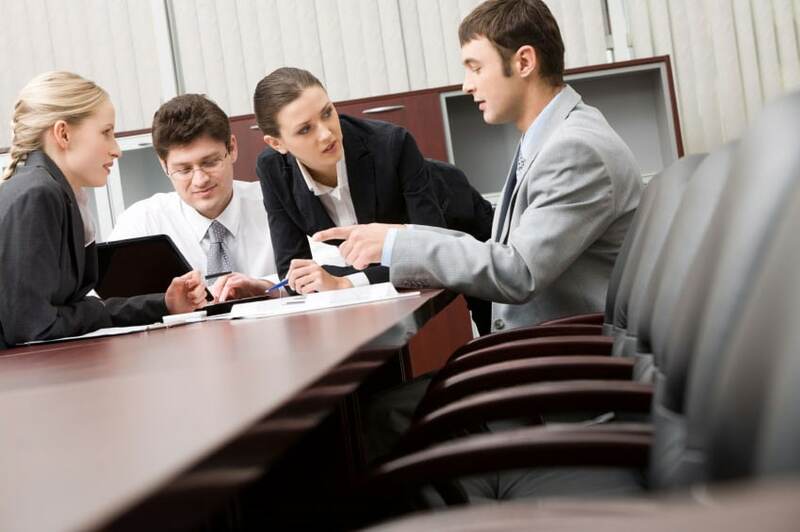 Contact a small business lawyer in Orange County, California. Those new to business or who want to incorporate a company may know that they must keep corporate records. But they might not understand what corporate records actually are. Along with the benefits provided by a corporation comes the duty to maintain corporate records. Failure to do so could mean the loss of liability protection, tax breaks, and other benefits corporations enjoy (like public and private investment in the corporation). A lawsuit or an IRS audit could leave the incorporators personally responsible for debts or damages owed by the corporation. A standard Articles of Incorporation form is available on the secretary of state’s website. But it may not be adequate for some businesses. For example, those wishing to issue more than one class of stock will need the assistance of an Orange County business lawyer to develop custom articles of incorporation. 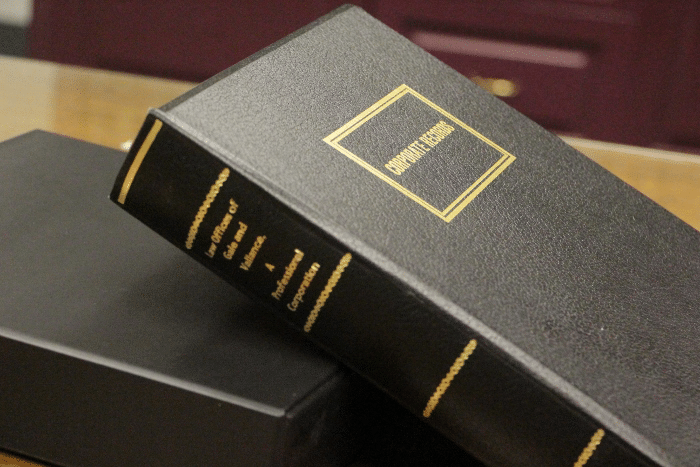 Bylaws represent the second key document a corporation must have on hand. Bylaws set forth how a corporation holds annual meetings and other corporate formalities required by the state. They may set the number of directors of the corporation. They may also set the minimum or maximum number of directors. Note: This applies only if the number of directors is not included in the articles of incorporation. It’s recommended that the number of directors be named in the bylaws rather than in the articles of incorporation. Bylaws are easier to change and don’t require submission to the secretary of state’s office. Bylaws may contain any other rules necessary to lawfully operate the business. California law mandates that corporations hold annual shareholder meetings, regular board of directors meetings, and meetings of committees on the board. These meetings exist to discuss the business activities of the corporation and make key decisions related to that activity. The state requires corporations to keep minutes of these meetings as well. Minutes are a formal, written record of the events of the meeting. Corporate minutes must be updated every year. They should also be updated when a new bank account is opened, when there is a salary increase for an officer or key employee, or when a new lease is signed. Learn more. 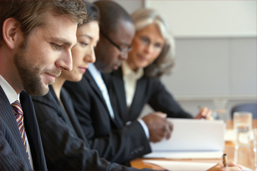 The organizational meeting is the first meeting of the incorporators or board of directors. At this meeting, key initial decisions are made about the operation of the company. These may include decisions concerning stock, bank accounts, the accounting calendar, and other decisions necessary to run the business. California law requires the filing of a statement of information within 90 days of filing articles of incorporation, then annually thereafter. The secretary of state’s office requires a fee of $20, along with a disclosure fee of $5, for a total of $25. Corporations typically issue shares of stock representing ownership in the corporation. Stocks may be issued in exchange for cash, property, or services. The law requires that a stock ledger be kept to indicate the names of shareholders and how many shares of stock they own. Corporations in California must be adequately funded, and must keep detailed financial records. In most cases, generally accepted accounting principles must be used to prepare financial statements. 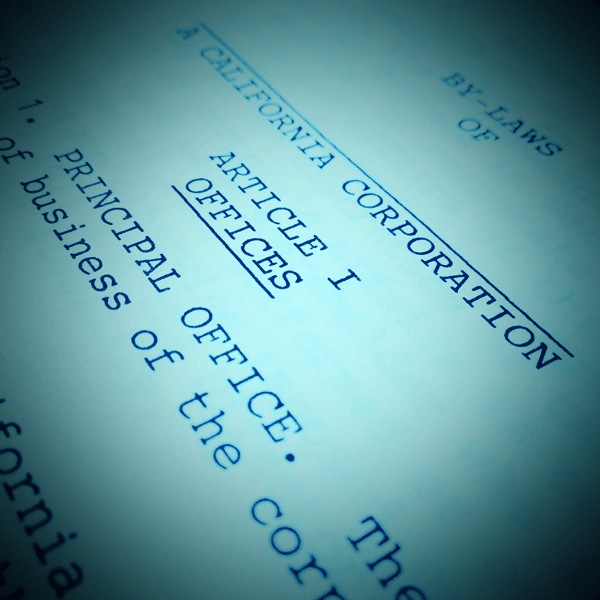 For information specific to your corporation, contact a business attorney in Orange County. Foreign corporations are companies formed in other states, but that conduct business in California. They must comply with particular provisions of California’s General Corporation Laws. They’re required to keep minutes and maintain a list of names and addresses of all shareholders. Foreign corporations must also list the number and class of shares held by each shareholder. Finally, these records must be maintained at the corporation’s principal executive office or at the office of its transfer agent or registrar. If corporate records are not properly maintained, the consequences may be dire. The corporate veil could be pierced, leaving you personally responsible in the event of a lawsuit or an IRS audit. But as a business owner, anything that takes your focus away from your business can become burdensome. So how can you get the time you need to build your business AND maintain your corporate records? It’s simple. The G&V Corporate Records Program is an easy solution that gives you more time to focus on what’s important – growing your business. How? We maintain your corporate records for you – at an affordable cost. If you’re confused about what corporate records are or you need help maintaining them, contact a business lawyer in Orange County. An attorney can ensure that your corporate records are properly maintained so your personal assets stay protected.